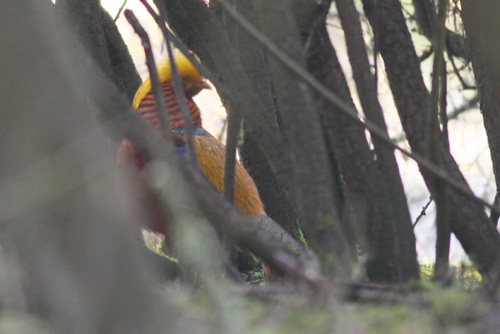 The best site in the county to see the increasingly rare Golden Pheasant. Best looked for at dawn and dusk at anytime of the year, they are most active in May but most people look for them in the winter months. Best strategy, park on the south or north side of the triangle with a clear view of the road in front and behind. Switch off your engine and wait. 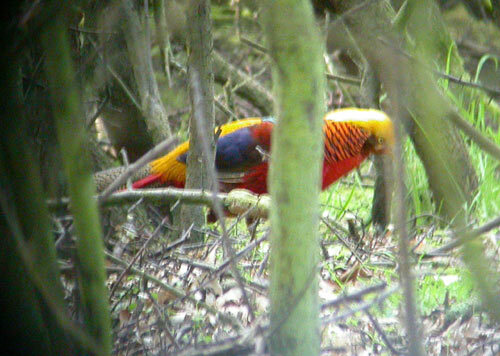 They often feed on the verges.